My research agenda: patient-centric high-quality care. 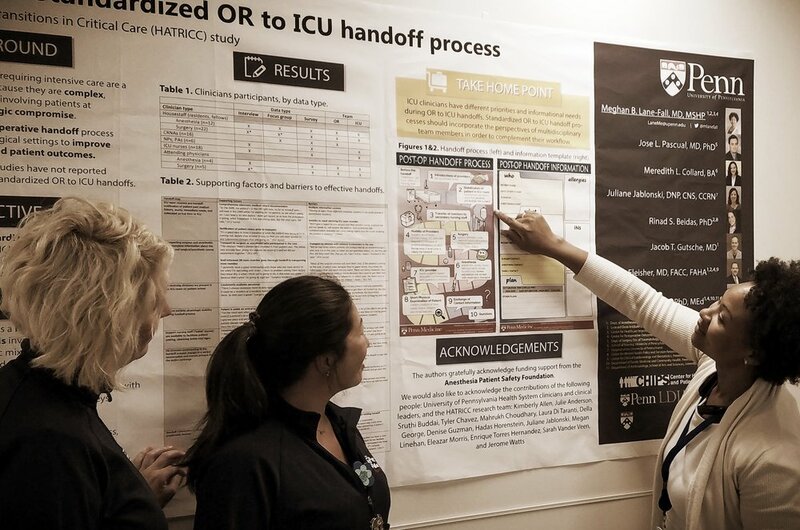 This project aims to improve communication during handoffs (transitions of patient care) in hospitals. We are specifically working on handoffs from the operating room to the intensive care unit. More information is available at our study website. Patients who have experienced severe trauma that requires a stay in the intensive care unit often experience a very rocky recovery. In this project, we are interviewing trauma survivors and their family members to understand how to create interventions to support them. "Family" is a concept that is very important to people needing medical care, but there is no universal definition. In this project, led by a Penn medical student, we are talking to intensive care unit patients and their family members to understand who counts as family, so that healthcare teams can more effectively partner with patients and families to provide great care. This study is a collaboration with Joseph Schlesinger of Vanderbilt University. In this project, we are determining how rounding order impacts clinicians' response time. The goal of this work is to learn more about optimizing clinicians' work to minimize fatigue and burnout and maximize patients' outcomes.